Best practices aren’t always best, even if they work for everyone else. You have to know your market type and how your product/service fits into your user’s life. This applies as much to search marketing as any other of marketing. 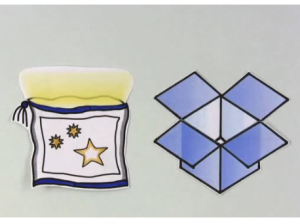 Dropbox is a great company with a good service. An online company that provides software and storage to sync files online and computers. They have a clear picture of what they offer and how they offer it. But, the startup marketing wasn’t easy. They went through the typical PR blitz and online marketing focused largely on search marketing. Their lesson: earch marketing isn’t for everyone, even if you’re an online company. Search is a way to harvest demand, not create it.